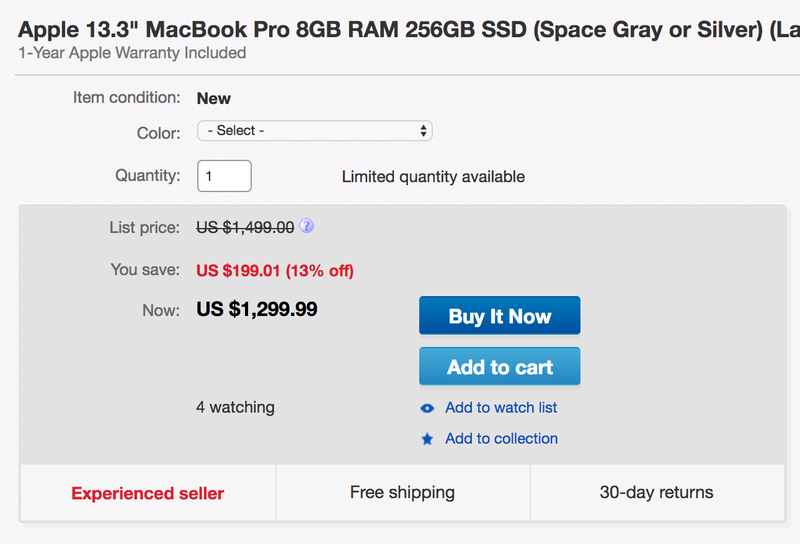 For today only, Best Buy has now matched the eBay listing below on the latest gen non-Touch Bar MacBook Pros. Best Buy is offering the 2015 model 13.3″ MacBook Pro with Retina display Intel Core i7/16GB/512GB (MF843LL/A) for $1,699 shipped (Orig. $1,999). Apple charges around $1,799 for a refurbished version of this model for comparison. 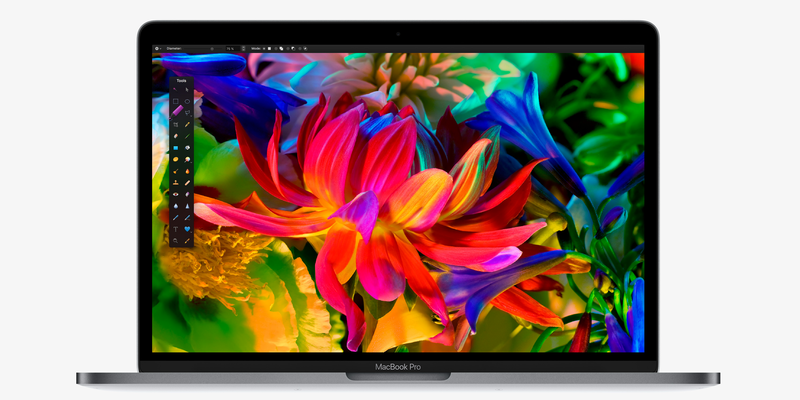 Electronics Valley (99.7% positive feedback from over 30K customers) via eBay Daily Deals is offering the base model Apple 13-inch MacBook Pro 2.0GHz/8GB/256GB SSD (model MLL42LL/A & MLUQ2LL/A, Late 2016) in Space Grey or Silver for $1,299.99 shipped. That’s $200 off the regular asking price and the best current deal available. Details below.